Guest accommodation is after 14:00 h., and check out – until 12:00 h.
Studio apartment – it has a living room (with two single beds or a double bed) with an equipped kitchen spot, a bathroom with a shower cabin and a toilet. 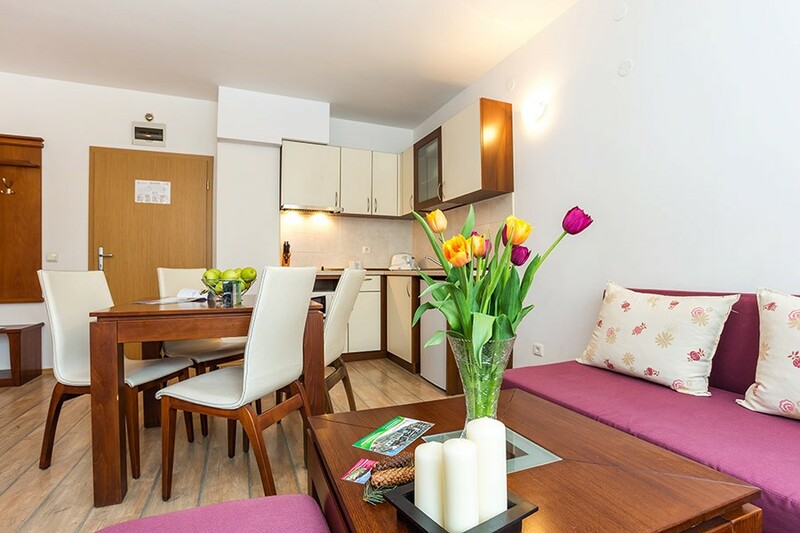 One-bedroom apartment – it consists of a spacious living room with an equipped kitchen spot, a separate bedroom, a bathroom with a shower cabin and a toilet. 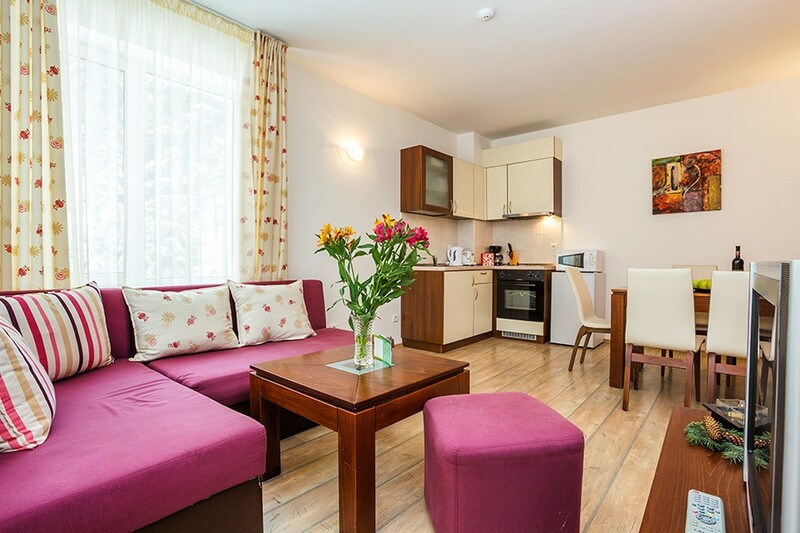 Two-bedroom apartment – it consists of a spacious living room with an equipped kitchen spot, two separate bedrooms, a bathroom with a shower cabin and a toilet. A baby cot can be placed in the one-bedroom and two-bedroom apartments for our youngest guests, following a request in advance at the reception. The use of baby cots is completely free!